If you’ve been handling your company’s social media marketing for some time, you’ve surely developed a system for how to juggle the many moving parts. But the downside of having a go-to routine is how easily you can miss changes on the social platforms you regularly use! Luckily, we’re here to help you take full advantage of all the platforms’ offerings and latest happenings. 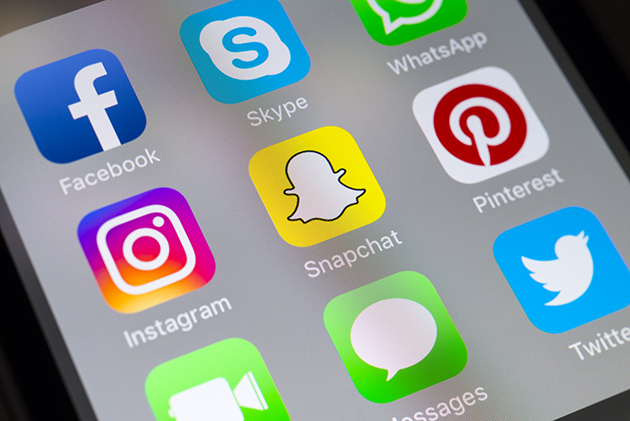 Read on to discover the changes to the big social media platforms that you can’t afford to miss. Facebook ad metrics are changing. Facebook is going to replace its relevance score with three separate metrics over the next few weeks:quality ranking, engagement rate ranking and conversion rate ranking. The old relevance score will begin disappearing on April 30. Ideally, this new feature should help you enhance specific areas of your ad, like the ad copy and call to action. Additionally, Facebook is removing six other ad metrics and replacing them when relevant. Here are the ones biting the dust at the end of April: offers saved; cost per offers saved; messaging replies; cost per messaging reply; mobile app purchase ROAS; web purchase ROAS. Facebook pushes Stories. Users are reporting that they’re now seeing Facebook Stories being promoted multiple times as they scroll through their News Feed. Previously, Stories were only featured at the top. Test out sharing some of your Instagram Stories here and see how they perform. Facebook announces lots of new privacy features. If you’re interested in what they are, dive into the 3,000-word blog post that CEO Mark Zuckerberg wrote. Be forewarned! It is rather technical. IGTV previews debut in the feed. Instagram wants to push IGTV. Now, you can upload IGTV videos to your feed or story. Users can watch a limited clip, and then click “Watch Full Video” in the corner to keep it going. Users can turn off the Instagram noise. If you feel bombarded with Instagram notifications, you can now pause them for a set amount of time, ranging from 15 minutes to 8 hours. A feature like this could help you only check on social a few times a day instead of interrupting your workflow all day long. Just go to your profile, tap settings and then notifications to set it up. Twitter is testing how its replies look (and more). Twitter launched its beta testing app, Twttr, recently. Initially, the app is trying to break up the long string of replies on tweets. By integrating colored blocks and indents, Twitter is attempting to make it easier to see who’s replying to who. Twitter makes it easier to flag personal privacy violations. Instead of simply reporting a tweet shares personal information (like a phone number or home address), users can now pinpoint what information is being shared right off the bat. See it in action here. Pinterest ads go global. Companies in Germany, Austria, Spain and Italy can now reach users with Pinterest ads. To keep growing, they’re also currently testing ads in Netherlands, Belgium, Portugal and Switzerland. "Shop a Brand" section under that product.